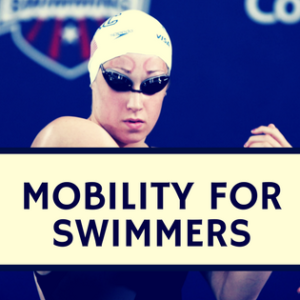 It is well understood that proper swimming shoulder mechanics are imperative to performance enhancement and injury prevention. But what happens when the shoulder is fatigued? We are fortunate to have one of the leading researchers in this area, Dr. Felipe Serenza, with us to share his insight to this important topic. His most recent article investigates the shoulder stabilizing muscles before and after a 3 minute maximal effort test. Check out our written interview below! Swimming Shoulder Mechanics with Dr. Felipe Serenza. 1. What is the normal biomechanics at the shoulder joint? 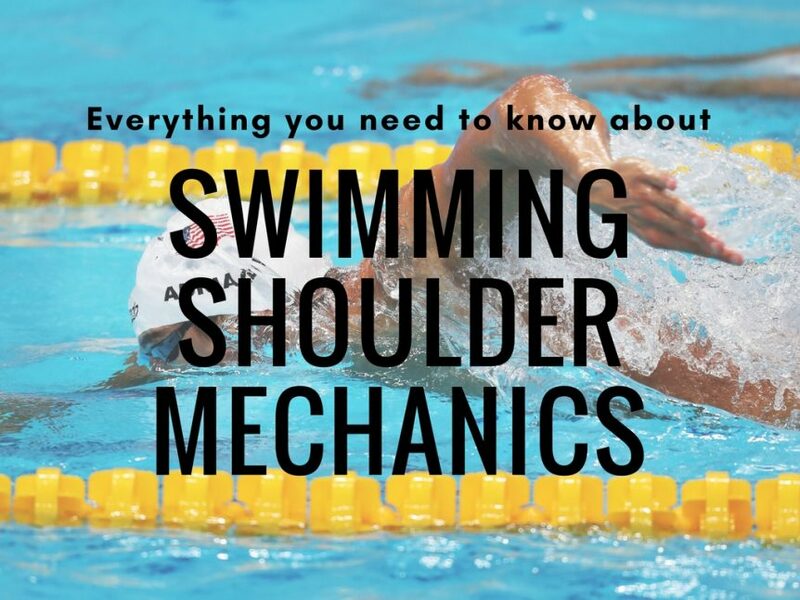 The normal biomechanics of the shoulder in swimmers depends on the perfect combination of movements between the body segments. The transmission of force depends on a strong core, periscapular muscles with good resistance to fatigue, and the rotator cuff keeping the humerus head well positioned during the shoulder movements. The insertion of the hand into the water should be performed with the pinky finger or all fingers, avoiding excessive internal rotation of the glenohumeral joint. The elbow should be held higher than the wrist during the recovery phase, with the purpose of promoting mechanical advantage to the periscapular muscles and the rotator cuff. The “Body roll” should be around 45 ° along the longitudinal axis of the body. 2. What are the changes on the shoulder biomechanics during a maximal exertion? What are the risks of these bio mechanical changes? Biomechanical changes are usually caused by muscle imbalances and muscle fatigue. The sporting gesture entails a gain in strength of the internal rotators of the shoulder (pectoralis major, large dorsal) in detriment to the external rotators and scapular stabilizers. Biomechanical changes can also occur due because of inappropriate technique. The hand enters the water crossing the middle line of the long axis of the body. The thumb first enters the water with excessive internal rotation. Increased impact on the anterior shoulder area. It simulates the impact position of the Neer’s test. Stress in the insertion of the labrum of the brachial biceps. Excessive horizontal adduction during the pull-through. Increased time spent in shoulder impact position. It simulates the position of the Hawkins-Kennedy test, with horizontal adduction, flexion and internal rotation. Elbow downward during the recovery phase. Increased external rotation of the shoulder, placing the propulsion muscles at a mechanical disadvantage. Improper position of the elbow when entering the water. The water causes a superiorizing force on the humerus, making a superior translation that causes subacromial impact. Inadequate body roll (greater or less than 45 °). Excessive body roll can imply the entrance of the hand crossing the middle line of the body axis in the pull-through phase. Lack of body roll increases the mechanical stress of the glenohumeral joint and entails an inappropriate insertion of the hand into the water. 3. What can coaches do to reduce these changes? 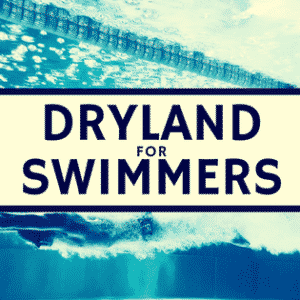 What can swimmers do to reduce these changes? The work should be performed in teams. Athletes, coaches, physiotherapists and sports physicians should make decisions together. I believe that a preventive work should be performed to mitigate biomechanical changes that put athletes at risk. Controlling inappropriate biomechanics: Errors in the stroke technique constitute one of the main causes of injuries. Many of the biomechanical changes appear when the athlete is fatigued, and therefore the final part of the training is a critical period. Controlling training volume: It is important to fulfill the rest period between training sessions. Preventive training: Gain in resistance for the CORE and periscapular muscles. The preventive training should be divided into periods according to the training phase. Greater attention with athletes who have already suffered from shoulder pain: Very important risk factor for new injuries. 4. How much can coaches / swimmers generalize these changes or are they individual? Most changes are common among athletes and are related to sporting gesture and training volume. Nevertheless, the ideal is to perform an individualized assessment to detect athletes with very large muscle imbalances. Survey on the main injuries and their risk factors in the relevant literature. Individualized assessment: Accordingly, we can identify risk factors present in the group. Prevention: The prevention program should be conducted according to the characteristics of the athlete or team. Individualized treatment: Adjusting greater imbalances. 5. What do you suspect happens after maximal efforts of the other swimming strokes? Similar to free swimming, but the movement is synchronized. Breathing with your head forward. Decreased upper trapezius and serratus anterior activity undermines superior rotation of the scapula. Bad positioning of the scapula can cause RC inhibition when entering the hand into the water. This can cause subacromial impact. Good rotator cuff activation when removing the hand from the water, in order to avoid subacromial impact. Decreased upper trapezius and serratus anterior activity undermines superior rotation of the scapula. Bad positioning of the scapula can cause RC inhibition during the recovery phase. This causes subacromial impact. 6. 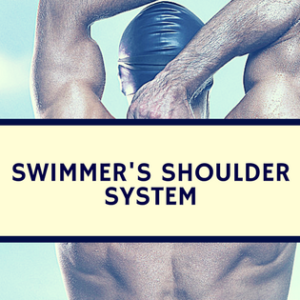 What other research is necessary on shoulder activity during and after maximal swimming efforts? Kinematics and EMG of the shoulder joints during the swimming movement and the fatigue-related consequences in this process. Longitudinal or prognostic studies addressing changes in shoulder kinematics and EMG in their baseline. A special thanks to Dr. Felipe Serenza for sharing his insight and expertise and John Mullen for conducting this interview. Bio: Dr. Felipe Serenza is a Faculty of Medicine of Ribeirão Preto, University of Sao Paulo. His research interests include biomechanics, gait analysis, physiotherapy, electromyography and dynamic strength assessment.